This all-purpose soft microfiber towel will stand the test of time with the shrink- and fray-resistant HD Edge; overlock stitch over a mesh inner and continuous round corners. The high quality microfiber terry material is made with AA grade, 80/20 blend microfiber yarn. 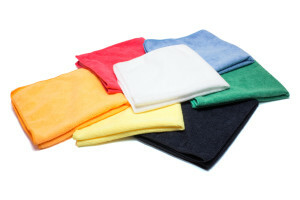 Purchase this microfiber cleaning towel in one of four colors today!